Power is one thing, but what about price? The Microsoft HoloLens 2 is coming, and it will purportedly arrive packing Qualcomm’s powerful XR1 chipset that’s finely tuned for high-quality VR and AR experiences. This alleged confirmation comes via a source speaking to Engadget who is familiar with Microsoft’s plans. If true, it will not only make the next HoloLens a vast improvement over the first, but also a leap ahead of what may come to be Google’s first, long-rumored AR headset. While Google was recently said to be considering the Qualcomm QSC603 – a chipset designed primarily for use with Internet of Things (IoT) applications – the XR1 that Microsoft is reportedly leaning toward seems better suited for next-generation augmented reality apps and games. But can Microsoft fix HoloLens’ biggest problem? Qualcomm states that the XR1 is capable of streaming content at 4K resolution at 60 frames per second. Compare that to QSC603’s WQHD bottleneck, and it’s easy to see the HoloLens 2 could very well end up being the more premium of the two. But sheer capability has never been the weakest link of the HoloLens. That honor goes to its egregious price tag. By the sound of it, Google’s AR headset sounds like it will come in a distant second place in terms of performance, but as it has done with Google Daydream and even in the recent Lenovo Mirage Solo, it focuses first on making products cheap enough for most to afford. 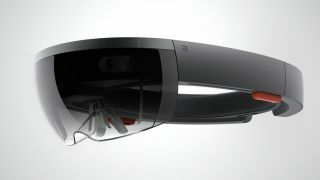 Microsoft HoloLens costs $3,000 – make that $5,000 if you’re buying one as part of an organization. If it wants to break into the mainstream with the second version, it obviously needs to slice off a zero from the price tag. But for all we know, going mainstream with AR may not be Microsoft’s intentions. Maybe consider a Windows Mixed Reality headset instead?